What fun was had by the children in Year 1 on their Christmas visit to Whitehouse Farm – they acted out the nativity, met some members of the farm and had the chance to meet Santa Claus too! The children are now certainly in the Christmas spirit! 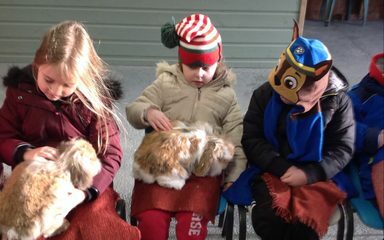 How wonderful to see the children having fun and learning about animals, life in a farm, sharing unforgettable moments with teachers and other class members! Thanks to all members of staff at St Joseph for organising fun and meaningful learning events!!!!! Your comment is very much appreciated, we try our best to give the children a range of experiences across the school year.